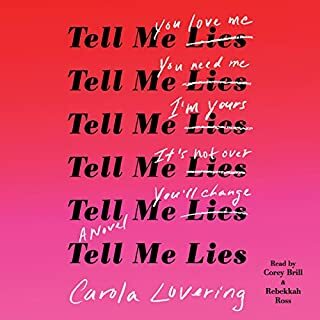 Lucy Albright is far from her Long Island upbringing when she arrives on the campus of her small California college and happy to be hundreds of miles from her mother, whom she's never forgiven for an act of betrayal in her early teen years. Quickly grasping at her fresh start, Lucy embraces college life and all it has to offer - new friends, wild parties, stimulating classes. And then she meets Stephen DeMarco. Charming. Attractive. Complicated. Devastating. I enjoyed the characters in this book very much. I did find myself getting sick of her going back to him and being so naive but overall I enjoyed the book! 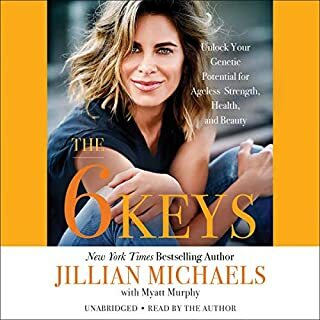 Empowering and rigorously researched, The 6 Keys outlines powerful lifestyle interventions, dietary guidelines, exercise plans, and vanguard strategies for cultivating mindfulness that restore and protect human performance, keeping you fit, healthy, and beautiful for life. I could not make it through this book. Way too scientific and technical. I just wanted her to get to the point and stop using a bunch of scientific words. Maybe I'm just not smart enough for this book but I just kept finding myself zoning out while trying to get into it. Sorry Jillian this one just wasn't for me.